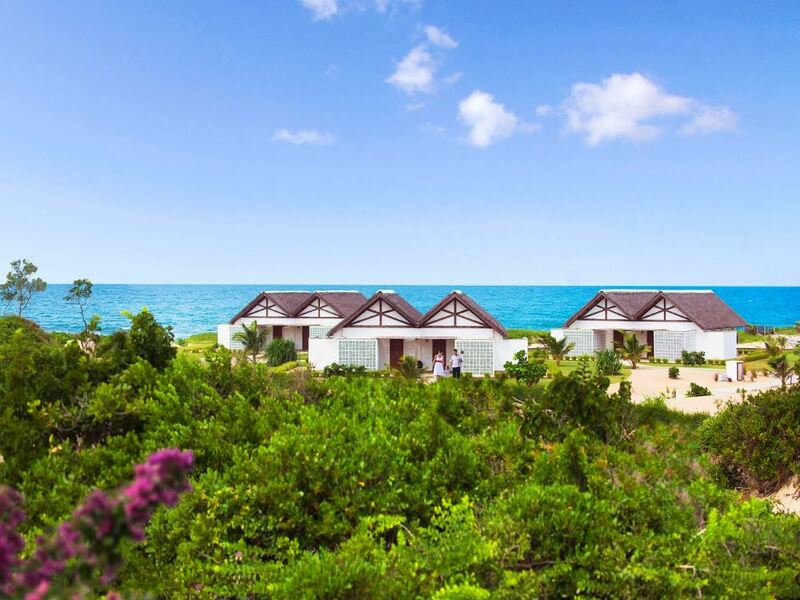 More water and land-based activities are on offer at Anantara Bazaruto than you can shake a stick at – if you’re bored here than you’d better check your pulse! 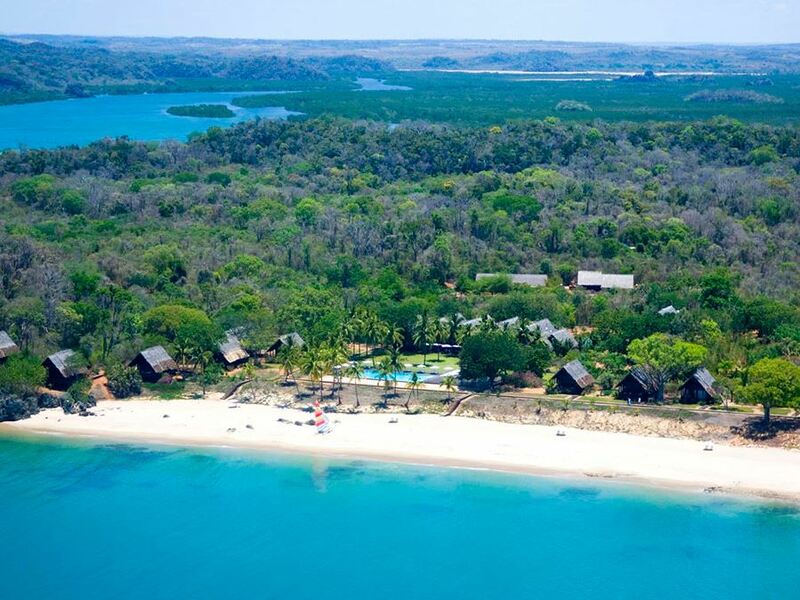 Anantara Bazaruto (previously known as Indigo Bay) occupies a unique niche – with 44 chalets and villas it’s a lot bigger than most of the other island lodges found on Mozambique’s islands but much smaller than the resorts that you would typically find in Mauritius for example. As such it offers a fantastic product for those people wanting to experience the unspoiled beauty of this area whilst still demanding the wider range of facilities and activities available at resorts. Extensively rebuilt and upgraded following the destruction caused by Cyclone Favio, Anantara Bazaruto now fits into the 5 Star category. 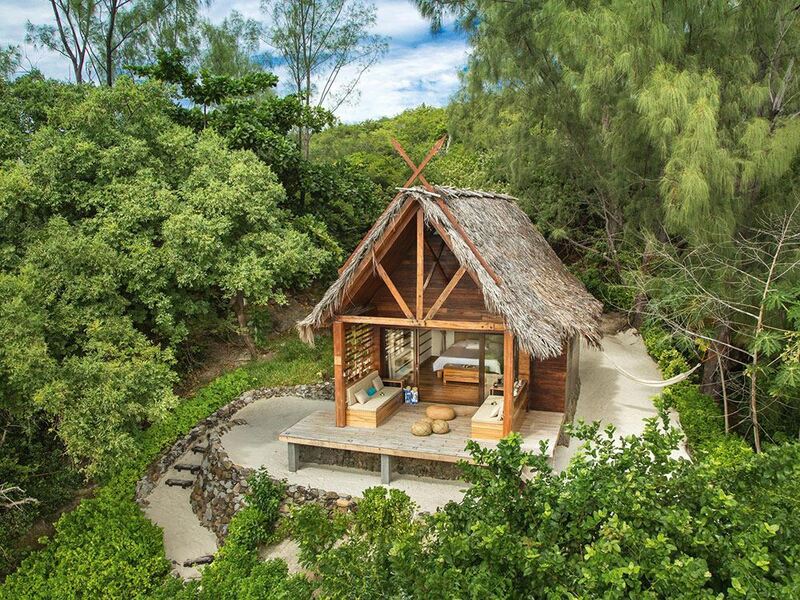 The good news is that this upgrade has not made the rooms the type of boringly generic apartment-style hotel rooms that you find for example in Mauritius – instead they have been constructed of natural materials like reed, soft-fringed thatch and wood in order to blend harmoniously with the natural surroundings. Inside you get all the modern luxuries and conveniences you would expect, from air-conditioning to satellite TV. The recent taking over by Anantara of the management of the lodge also promises to deliver the consistently excellent service that the Anantara brand has become deservedly famous for. 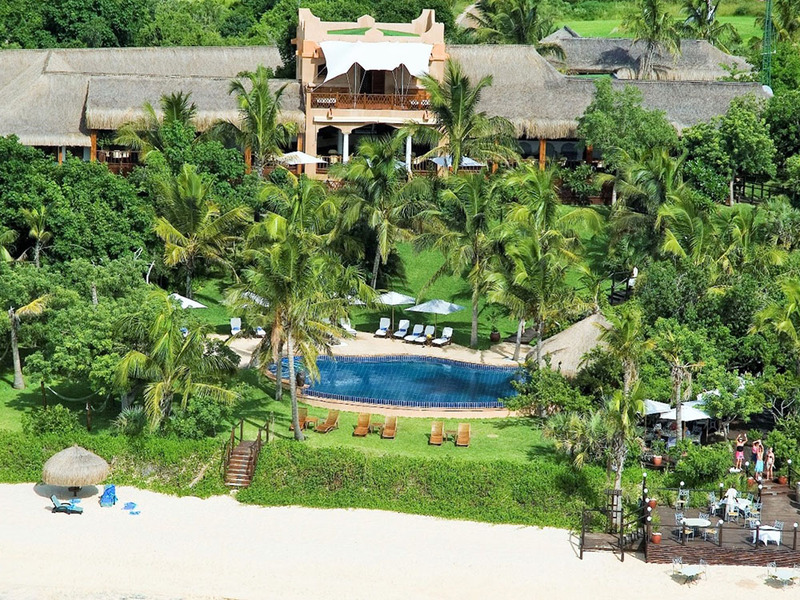 The thatched villas, surrounded by dense tropical gardens, are stretched along the beach with enough space between them to ensure your privacy. In fact, the large number of rooms and the spread out nature of the layout can lead to some pretty long walks along the wooden boardwalks for guests staying in the furthest flung rooms to and from the main lodge buildings. Whilst the 29 standard Beach Villas are perfect for couples, a fantastic choice for families are the 12 Deluxe Seaview Pool Villas – each boasting 2 bedrooms, lounge and gorgeous deck area with their own private plunge pool overlooking the turquoise (or should that be “indigo”!) waters of the bay below. One thing that’s certain is that guests at Anantara Bazaruto are certainly not likely to get bored! Adventure lovers will be right at home here – this is one of Africa's premier scuba diving destinations, but the waters are of such a superb standard that you need not be a diver to enjoy the colourful underwater world. 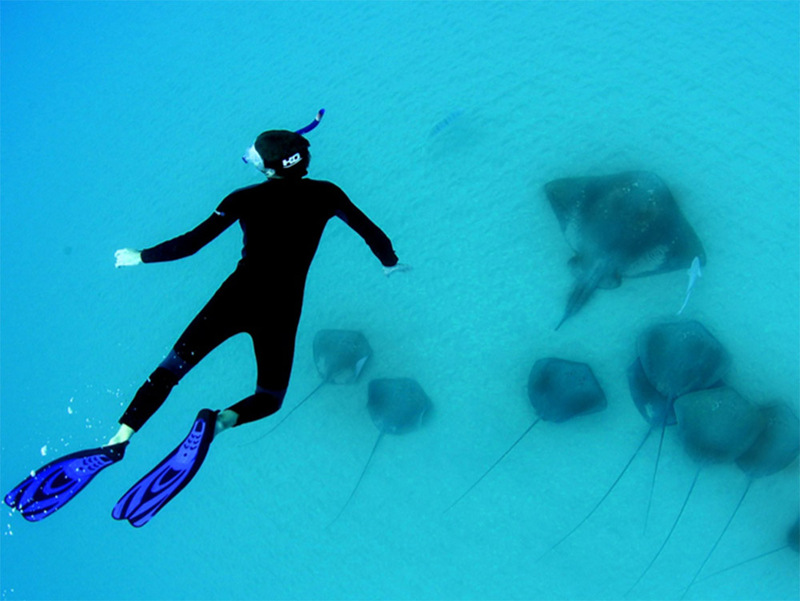 Apart from scuba, snorkelling and fantastic game fishing, the resort also offers a huge range of activities including dune boarding, horse riding, waterskiing, wakeboarding, tennis, a 9 hole Qolf course (an innovative twist of golf) and complimentary non-motorised water sports like kayaking, windsurfing and Hobiecat sailing. But if that seems altogether too much like hard work you can laze around the swimming pool or enjoy a cocktail at the swim-up wet bar – or better still even head off for a pampering treatment at the gorgeous Sanctuary Spa, perched on the hilltop with spectacular views over the archipelago! After all that, head off to the Neptune Bar for a ice-cold sundowner before dinner – Anantara Bazaruto’s size means that things operate a little differently at meal times to smaller lodges in that you can expect quite a few buffets (not our favourite we must confess) along with some waiter served limited menu meals (although you won’t have to endure the cheesy musical “entertainment” typically on offer at your Mauritian resorts!) In many ways then Anantara Bazaruto offers a fantastic halfway house between the smaller, more intimate beach lodges and the large, facilities-heavy resorts found in far more commercialized destinations – it’s little wonder then that it’s such a huge favourite with so many South African and overseas holidaymakers!